We are talking about myths here, so let’s be clear about what is required in order to have a myth. For one thing, myths require words. What else do myths require? We could say that myths also require someone to be there to believe in the words. That’s about it, though: myths require words plus someone believing in those words. Superstitions are any sequence of words that are believed, especially without understanding. In other words, opinions are superstitions and so are beliefs. You will understand why in a moment. First, what is one sign of a superstition? If people are afraid of sequences of words that differ from their own favorite sequences of words, then their favorite sequences of words may be superstitious idolatry (including opinions and beliefs). If someone worships a superstitious idolatry, they may be so afraid of alternate sequences of words that they defend their favorite sequences of words with antagonism and even rage. Have you ever noticed someone anxiously defend a particular sequence of words with antagonism or rage? (maybe even you personally?) The anxiety of the rage is a type of fear. Whether defending beliefs with an anxious rage or opinions with a desperate rage or any other sequence of words with a paranoid rage, the anxiety of rage is always frightened. So, one sign of a superstition is that anxious rage. In other words, one sign of sin is that raging anxiety. Sin is a label for “a mistaken perspective,” as in “missing the mark” or a misunderstanding or misinterpretation. If we were to use the label “sin” to refer to a set of several things, the first thing that we might emphasize as a sin is the possibility of misunderstanding the reality of the unity of existence. There is only one reality, which is continuous. 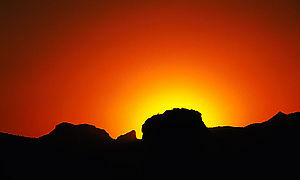 There are not two isolated realities, such as the past and the future or heaven and hell. There is a continuity of time which can be divided with language in two segments like “the recent past” and “the distant past,” but those two linguistic categories are not isolated realities, but just distinct labels for a single continuous reality. There is also a continuity of experience which ranges from heaven to hell, but they are not literally places. The myths of heaven and hell as places are useful metaphors. However, even when we refer to two different places, such as Arizona and America, those two different places are not two independent realities. Those are two labels for the the only reality, which is a single, continuous reality. So, the first thing that we might emphasize as a sin is the possibility of misunderstanding (or simply not recognizing) the reality of the unity of existence. Arizona is not a different reality from America. Arizona is within America, but so is Alaska. Even though Alaska is very different from Arizona, they are still two labels for different portions of the same continuous reality. Reality is singular, but there are many labels for it, many words in it, many names of it. For instance, consider the words God, Allah, Yahweh, and Brahman. In different languages, different words may reference the same idea or linguistic distinction. 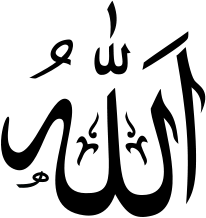 Likewise, someone can write the word Allah in Arabic, in cursive, or bold, or in italics, in black ink or colored ink, and yet it is still the same word. Someone can pronounce the word with an accent or say it with a high pitch or a low, deep tone of voice. So, we might list 10 or 100 or 1000 ways to say or write the word Allah. In fact, every time the word is used, that is a new occasion of that word being used. However, it is still the same word, right? Likewise, no matter how many words are used within reality, reality is still a singular, continuous unity. 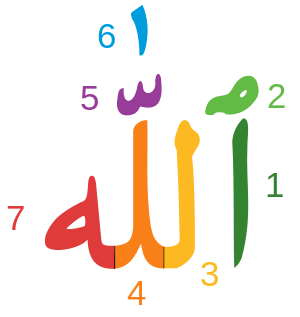 There are many labels for the singular, continuous unity of reality, which have been represented in different languages using different words, such as Allah, Brahman, Yahweh, and God. Many people may misunderstand those words and just superstitiously worship the individual words in a particular language, such as a word in Hebrew or English or Arabic or Sanskrit. That is a completely understandable error- totally innocent. In fact, making that error may be practically essential in order to recognize the fact that it is an error to worship a particular word or sequence of words. So, let’s move on to a few popular superstitions. First, there is the idea that the world is flat. As a sequence of words, that grammatical construction is quite valid. In fact, many parts of the earth are quite flat and, because of the limitations of human visual perception, it is quite natural to label the earth as flat. Standing on the surface of the earth at a height of six feet, human eyes and brains interpret the earth as flat. However, from the top of a very high mountain, it is possible to directly see the curvature of the earth. High in an airplane, the curvature can be seen or even far away from the earth in a satellite in orbit around the earth. Quite plainly, the earth is not actually flat. It just appears flat from a certain perspective. Labeling the earth flat is quite natural, though technically imprecise. About the time of Buddha (6 centuries before the “common era” of Holy Roman Imperial Christianity), a fellow named Hecataeus published this flat map of “the known world” (as much of the world as he personally knew). So, just because someone is using a conceptual model that is flat (a flat map as distinct from a spherical map of the globe), that does not prove that the planet is flat. Also, just because someone uses an Arabic or Sanskrit word for the singular, boundless, continuity of reality (Allah or Brahman), that does not mean that the only valid way to label reality is using that particular language. Pronouncing a word in a recognizable way does not establish comprehension. I can properly spell and even recognizably pronounce the words calculus, Sanskrit, dimethyl triptophosphate, but that does not make me an expert in those subjects, does it? Further, pronouncing the word Allah or Brahman or God does not prove comprehension of the ancient, primary meaning of those words. Even parrots can pronounce those words. Even three year-old in Sunday School can sing those words in pretty songs. Even ignorant, arrogant, anxious, raging preachers can pronounce those words, sometimes very loudly. That reminds me of trying to effectively communicate to a deaf person by shouting. When the blind lead the blind, that is a lot like someone who does not comprehend the Sanskrit language trying to teach Sanskrit, then all the students complaining that Sanskrit is gibberish and very hard to learn. Someone who is not competent in the field of Sanskrit cannot help people to be competent. Similarly, someone who is not competent in the field of spirituality (which I consider to simply be the comprehensive study of language) cannot help people to be competent in spiritaulity. So, quite simply, sin is mistaking imprecision for invalidity. It’s like if someone asks me my height, I might say “between five and six feet tall.” That is imprecise, but valid. I could be more precise, right? I could give my height to the nearest foot or the nearest inch or the nearest millimeter. Those are just different degrees of precision. Any unit of measurement is valid, but each one is distinctly precise. So, someone who understands the singular, continuous nature of reality is also clear about words and labels. While some may argue and rage over whether inches or millimeters are the most valid units of measurement, that may be recognized as a misunderstanding of the word “valid.” All units of measure are valid. Likewise, while some may argue and rage over whether English or Hebrew or Arabic or Sanskrit is the most valid language, again that might be recognized as a misunderstanding of the word “valid.” Finally, while some may argue and rage over whether Allah or Brahman or God or Yahweh is the most valid label for the singular, continuity of reality, some might see such anxious arguing and desperate rage as based on an innocent misunderstanding, a reactive superstition, a verbal idolatry. Reality is singular and continuous, all-present and all-mighty. There is no other reality but reality. Labeling reality in various languages does not alter the singularity of reality, just like measuring length or height in various units of measurement does not alter the length of something being measured. Now, we began with the topic of the myths and superstitions and sin and language, and now we turn to the more precise subject of the specific myth of incurable illness. Basically, when someone does not understand the science of biochemistry and physiology, they may label something as incurable because they personally do not know how to cure it. This is like saying that a language is incomprehensible. To someone who is illiterate in Arabic, reading Arabic is impossible. All Arabic writing is illegible to someone who does not know how to read Arabic- even if they can speak it fluently. Consider a three year-old who knows how to speak basic English quite well but cannot read a word of it. That child may label all written words “impossible to read” or even “illegible” (though most three year-olds have a limited vocabulary, right?). So, when a person has a limited understanding or limited vocabulary, they may label some condition as incurable. That means that they personally do not claim to be able to cure it. Next, there is the issue of labeling things as “an illness” which may in fact be only “a diagnosis.” Consider that baldness is not a substance. It is just a label. When someone has no hair, they have skin but not any hair on it. That is not the presence of some substance called baldness. That is the presence of skin unaccompanied by hair. When someone has a variety of vitamins but very little or no Vitamin C, that leads to certain physiological symptoms that can be labeled “scurvy.” The label scurvy is not the presence of a substance, but only the presence of a diagnostic label. The presence of life with little or no vitamin C can be labeled “scurvy.” That is entirely valid. That is perhaps somewhat imprecise. More precise would be to say “we measured for the presence of Vitamin C, and here is exactly what we found….” The measurements could be rather approximate or measured down to the precise number of molecules of Vitamin C in the body, which might be a bit ridiculous to actually count one by one, right? So, when someone is operating from a mild panic, a state of paranoid hysteria, we could call that hypochondria. They might label “baldness” as an incurable illness that they have, rather than recognizing baldness as a label in language for the presence of life unaccompanied by hair. they might label “scurvy” as an incurable illness that they have, rather than recognizing scurvy as a label in diagnostic language for the presence of life unaccompanied by certain levels of Vitamin C.
They might label “diabetes” as an incurable illness rather than a label for “sweet urine” or “sweet body fluids” or “sweet blood” or “high blood sugar” or “blood that has lots of glucose due to eating lots of carbohydrates.” There is no diabetes in their blood. There is blood and there is glucose in it from eating foods that contains lots of complex sugars that can be broken down in to glucose. They might label “autism” as incurable, rather than recognize symptoms that correspond to the presence of various things in various amounts (unaccompanied by other particular things). Same for cancer, multiple sclerosis, alzhiemer’s, celiac disease, chronic fatigue syndrome, asthma, arthritis, allergies, cavities, and so on. Each of these labels refer to the presence of various things in various amounts, right? When there are not many minerals in the diet, then there will not be many minerals in the teeth, right? The teeth will get softer and then may cave in. That is called having cavities. 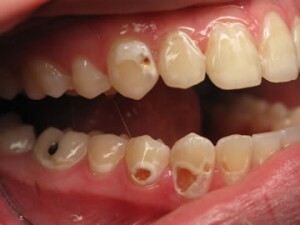 However, the word “cavity” is derived from the word cave. It is empty. There is nothing in a cavity. There is nothing in baldness. If someone wants to “cure cavities,” they would need to strengthen their teeth by providing the relevant minerals. 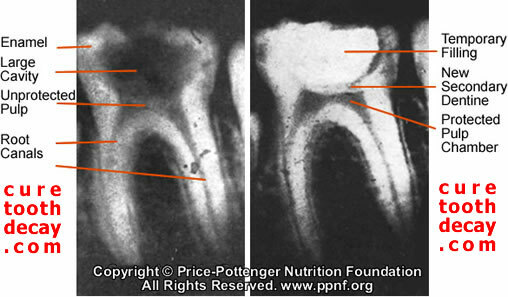 When there are enough minerals for the body to build and maintain strong teeth, there is no caving in to label as “having a cavity.” When the body needs minerals so desperately that it takes them out of the teeth so as to maintain the more essential functions of various organs, then that produces a decline in the mineral concentrations in the teeth, resulting in softening and caving in. So, where do we get the linguistic model of “having an incurable illness?” It is from a superstitious, religious model of demonic possession. It is a variety of forms of hypochondria (imaginary issues or deluded perceptions, believing that diagnostic labels are substances rather than just labels). “I have incurable cavitosis.” No, there is just the presence of various minerals in various amounts. “I am possessed by incurable diabeticisis.” No, there is just the presence of various amounts of sugar in the blood, perhaps related to diet. “I am possessed by incurable obesitosis.” No, again there is just the presence of various substances, perhaps related from diet. “I am possessed by the demon of incurable baldness.” No, that is the presence of skin and the absence of any healthy, productive hair follicles. Get implants (or a wig). No one has ever been possessed by a demon of an incurable disease. No one has ever been possessed by tooth decay or by a contagious cavity taking over their teeth or by an emptiness in their stomach. Tooth decay is not the presence of something, but the diagnostic label for the absence of a diet rich in minerals and the symptoms or natural consequences of such a diet. The model of demonic possession by incurable diagnostic labels is a totally superstitious idolatrous language, innocently practiced by many mainstream believers of the religion of modern medical science. This entry was posted on September 25, 2012 at 4:20 pm and is filed under Uncategorized. You can follow any responses to this entry through the RSS 2.0 feed. You can leave a response, or trackback from your own site.